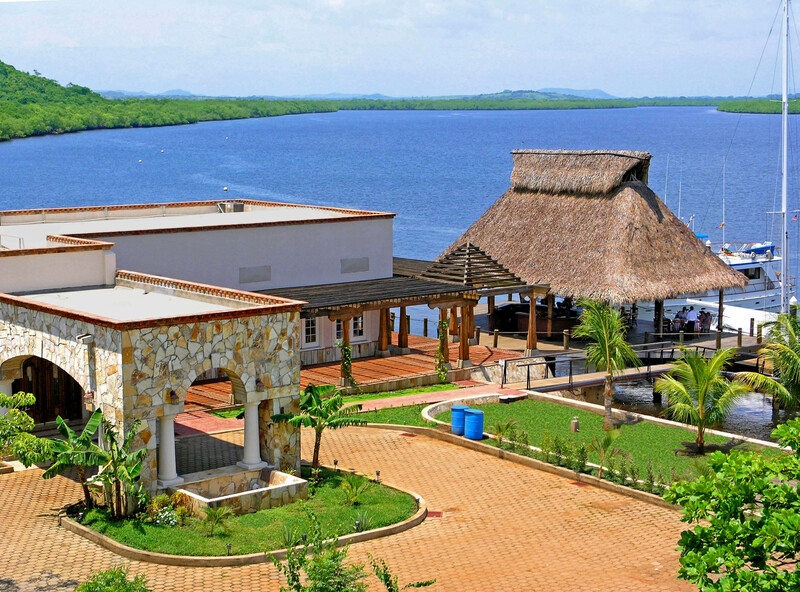 Built over water, the outdoor dining room and bar at the marina is a favorite relaxation area because of the gentle breezes and fantastic view. 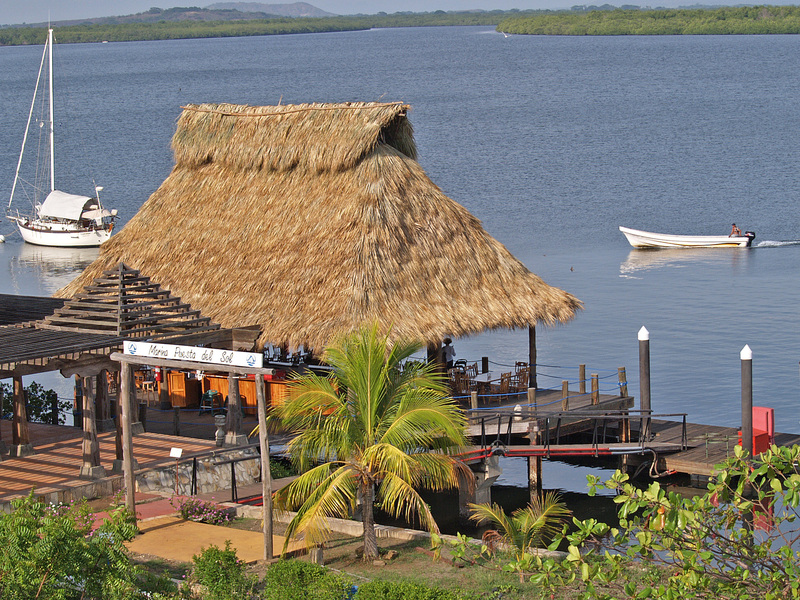 Try a Macuá, the national cocktail of Nicaragua, under the thatched palapa roof. 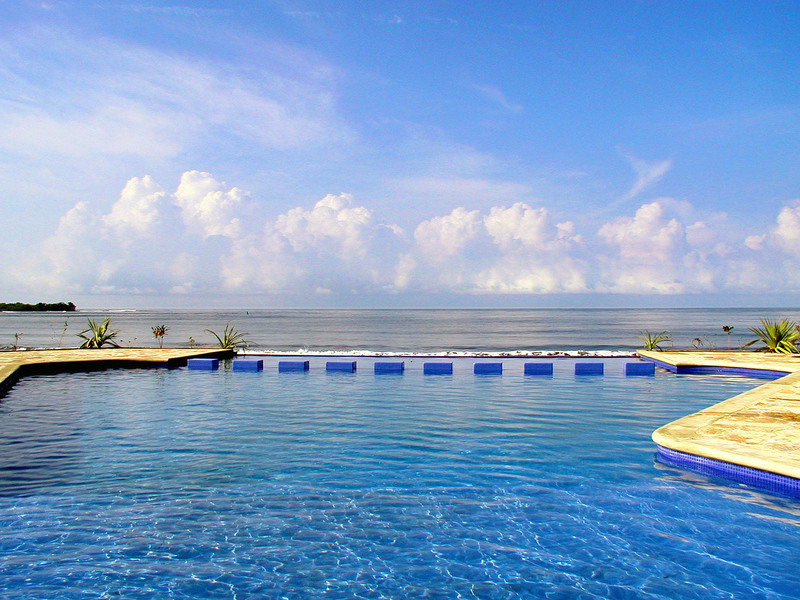 Relax and cool off in one of our two infinity pools. 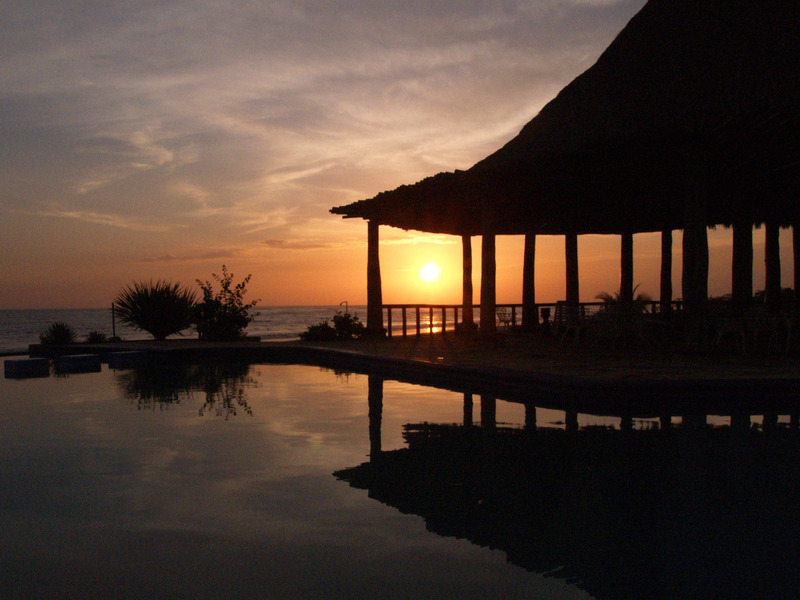 At the marina, the pool overlooks the azure waters of Aserradores and the distant San Cristobal volcano…the second pool is located at the Club de Playa, and overlooks the warm waves of the Pacific. From the beautiful, traditionally patterned floor tile to the unique wood ceiling design, our main dining room is a testament to elegance and grace. 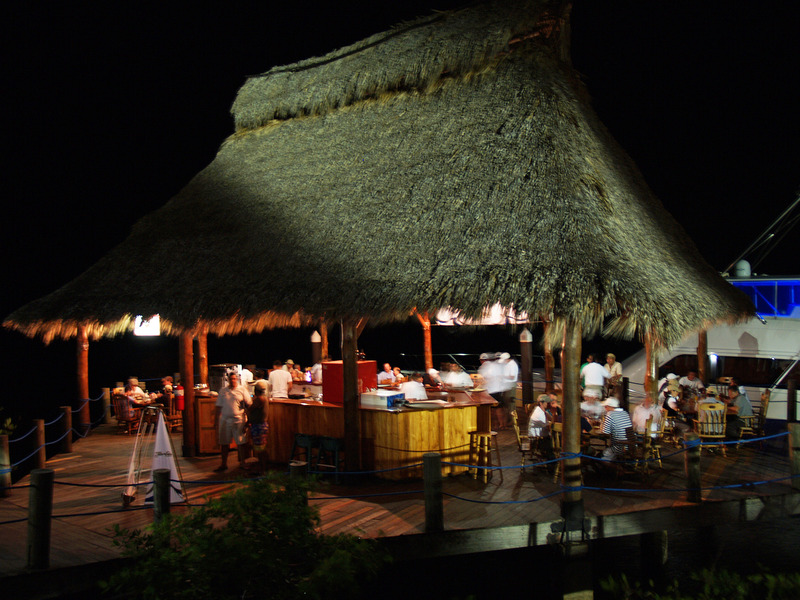 The Club Nautica serves breakfast, lunch and dinner from a truly imaginative menu. 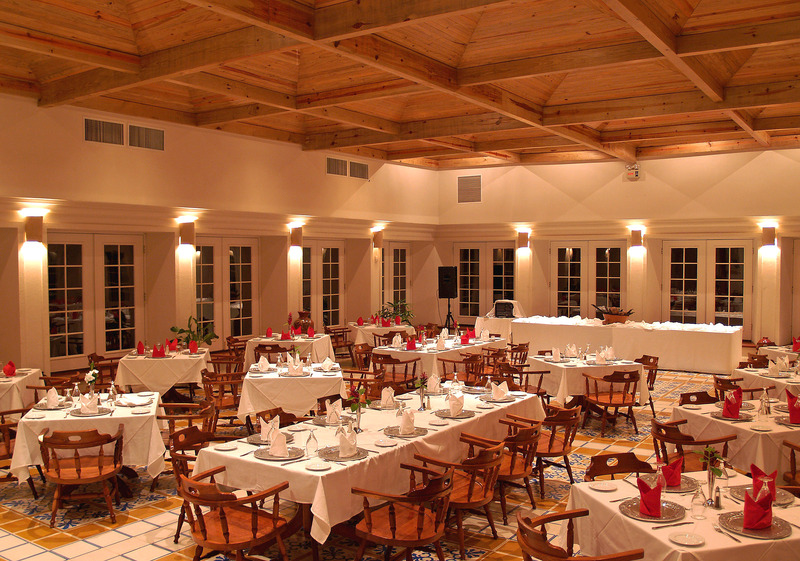 The main dining room in the yacht club will seat eighty and because of its large and spacious size, can be converted into convention, seminar, or meeting area.